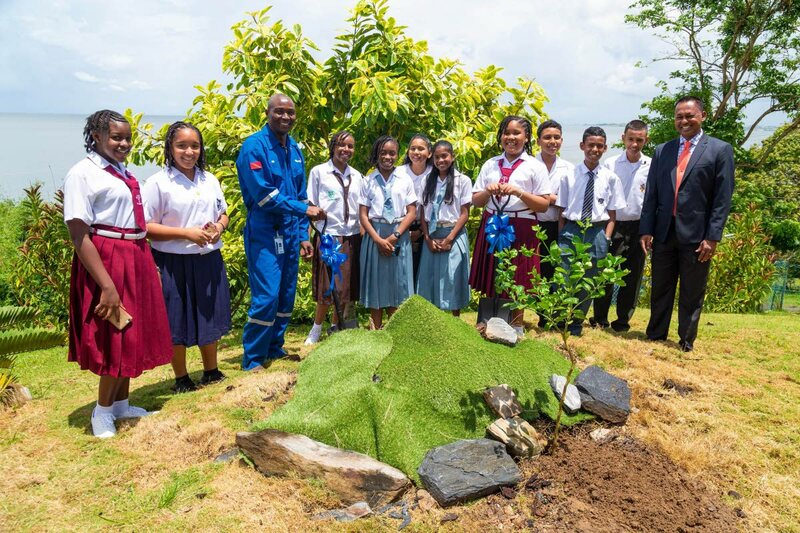 A citrus tree symbolising the potential and future national contribution of Point Fortin's children was planted on September 19 by Atlantic CEO Dr Philip Mshelbila and the 2018 top ten SEA students from Point Fortin. The tree was planted at Atlantic’s Administration building, Point Fortin, and formed part of the induction ceremony for the students into the Atlantic Point Fortin’s Finest Leadership Development Programme. Citing US pop singer Natasha Bedingfield’s song ‘Unwritten’, he reminded students that they were the ones who will determine what gets written in the stories of their lives. Reply to "Atlantic CEO, Point’s top students plant tree for the future"